Ferrari celebrated its 70th Anniversary earlier this month in Pebble Beach, CA at the Pebble Beach Concours d’Elegance in unprecedented fashion. Exclusive and priceless classic Ferraris were on display at the Concours d’Elegance, and the event hosted four Ferrari exclusive classes. The 2017 Pebble Beach Concours d’Elegance was a success, displaying 70 classic Ferrari vehicles – one for each year in the Italian sport car brand’s history. The cars were available thanks to the company, private owners and museums all coming together. In total, the cars were valued at approximately $500 million. According to a company representative, all the vehicles on display had been certified by the company’s Classiche division, and that this was likely the largest gathering of historical models in the brand’s history. The display models were not available to purchase, however, there were Ferrari models up for auction during the event. If you’re interested in learning more about the long and remarkable history of the Ferrari brand, be sure to check out the rest of our blog here at Continental Ferrari, where we’ve addressed a variety of historical topics ranging from Ferrari Trivia, landmark Ferrari models, model photo galleries and more! And if you’re interested in getting behind the wheel of your own Ferrari vehicle, we’re happy to help! 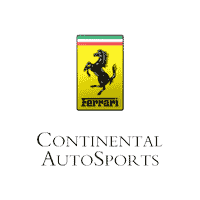 Just take a look at the models available in our inventory here at Continental Ferrari. From there, contact us online or give us a call and we’ll be happy to help you get started.